Internet-to-Freeview streaming portal Vision TV has launched a new genre based menu, designed to help viewers find relevant content on the portal more quickly. 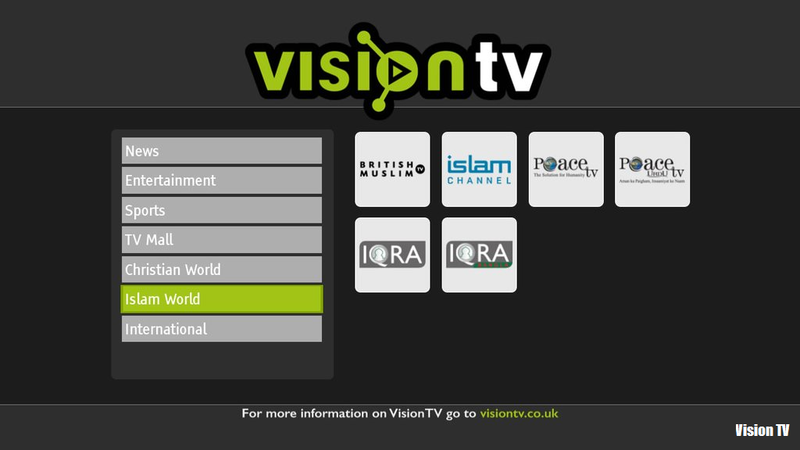 Accessed through compatible Freeview devices on channel 244, Vision TV is a portal containing niche services from the UK and the world. Under News, viewers will find access to services including China's CCTV and the French language version of France 24. Entertainment includes Pakistan's PTV Prime, Blue Ocean Network (BON) and BEN. TV Mall contains a copy of The Jewellery Channel and Best Direct. The international section includes Sikh Channel and Hellenic TV, with programmes from Greece and Cyprus.